Hello there. I do hope you are all well. Like most people around the world, I feel utter shock and sadness by the events that took place in France on Friday evening. My thoughts are with all who have been involved in these horrendous atrocities and as someone who loves Paris with all her heart, I find it unbearable to see and hear about what has happened there. But we must fight on, living our daily lives and teaching our children how to value their freedom. We have to carry on and embrace the smaller, simple things in life that give us a little bit of happiness. And these are mine on a very gloomy, rainy, Sunday morning. 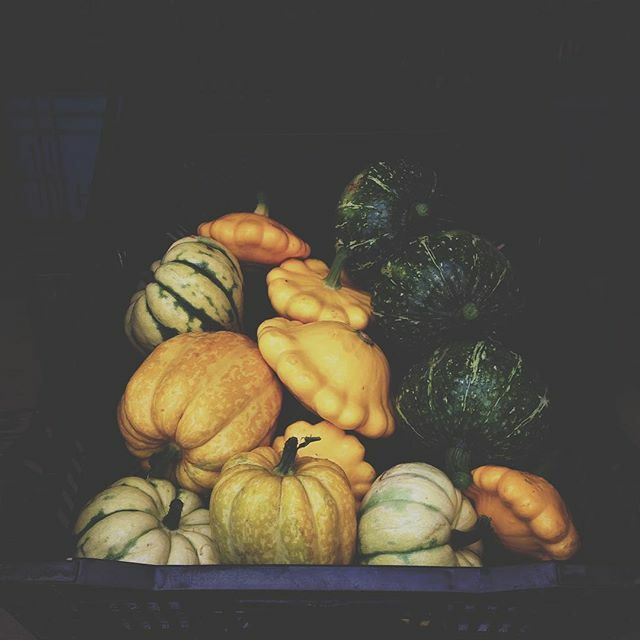 Eat - we've been cooking several different Autumnal squash recipes this week. A squash and spinach casserole with herbed feta crumble by Ruby Tandoh was out of this world good. Although I used breadcrumbs as the topping rather than the actual crumble recipe. Squash and cumin soup with cheesy toasts was delicious and a perfect weekday lunch. This week I need comfort food so I'm going to give this kale, chestnut and mushroom pie a go for dinner as well as a spinach and macaroni cheese (pictures three and five). Read - I'm still reading the new Sarah Waters book, The Paying Guests, although I'm nearly finished it. So for now I'm going to share this article from Remodelista. One of my favourite sites for interiors inspiration for the simple, modern rustic home. This stunning guesthouse remodelled by the Jersey Ice Cream co took my breath away with it's beauty and it's interesting to read how they transformed a tiny space into a guest house that now sleeps five. (picture seven). Jeska's store The Future Kept always comes up with the goods. I'm so in love with this Autumn Forest Goddess print by Karolin Schnoor. It's on my Christmas wishlist. Explore - Well because of all the crappy weather, I've been keeping myself in the house, warm and cozy and I've already started eating my way through a lot of mince pies. So I'm thinking about decorations for Christmas and I can't wait to get my tree up at the start of December. If you are in need of some decorating inspiration though, go check out my Joyeux Noel board over on Pinterest. 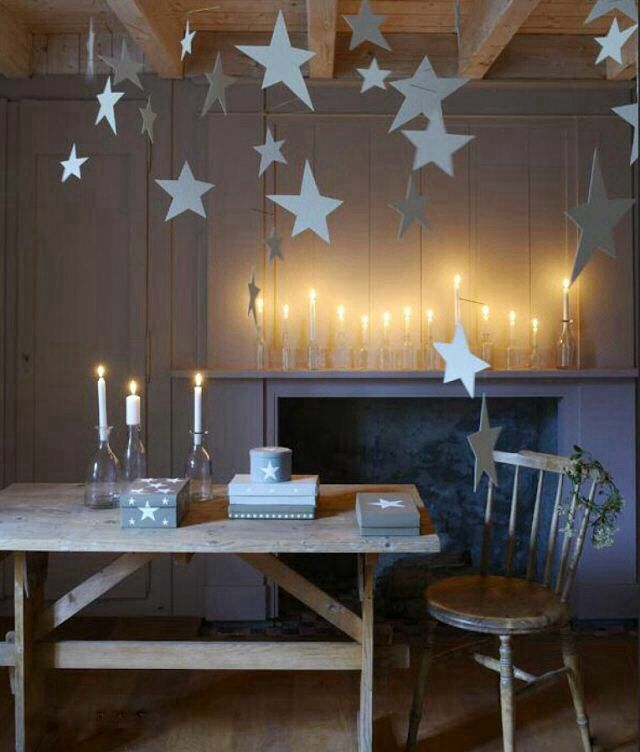 How beautiful are those simple white hanging stars? (picture one). And now that I'm working from home (doing a little web design and freelance writing), I've been sitting at my dining table, cup of coffee beside me and listening to a lot of Radio 6Music. And I've just discovered Desert Island Disco on the Lauren Laverne show, it's utter bliss but impossible to concentrate on any work as you can't help but get up and dance. Over the last couple of years I've felt that I've lost my passion for music and now I'm feeling it returning. Finding new artists has made me excited about music once more and when I heard this song by Daughter on 6Music last week, well it made me genuinely very happy.